From left, Donte Baker, Jaden Heath and Caivon Crosby. 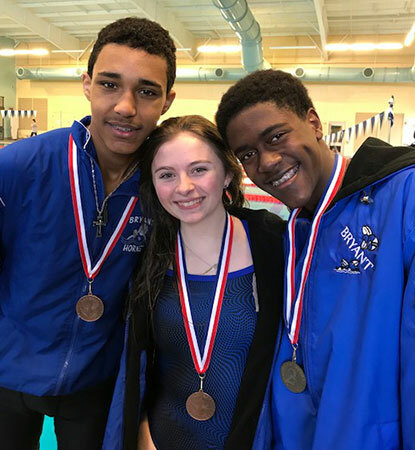 BENTONVILLE — Bryant’s Caivon Crosby set a new school record with a score of 362.35 in the one-meter dive on Friday at a dive meet host by Bentonville High School. Crosby finished second among the boys at the meet, held to prep divers for the State meet next weekend. Donte Baker was fifth and, in girls competition, Jaden Heath was fifth for Bryant.